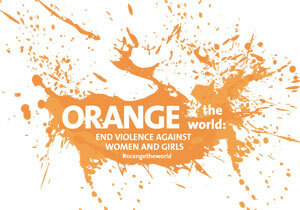 The Ministry of Social Development & Housing invites you to represent for nonviolence during the 16 days of activism! Wear ORANGE on Wednesday, 25 November 2015 — National Orange Day, and every day for the campaign period. Find information and be a part of the discussions around GBV. Come out to our #iREPRESENTNONVIOLENCE session on 4 December, 2015 in the town of St George, midday to 5 pm. Let’s stand in solidarity with them! Let us represent for nonviolence!